BCM defines “missions” as ministry outside of the church both locally and internationally. Missions are a crucial aspect to the discipleship of college students. We strive to give students many opportunities to grow in their faith and glorify God through missions. These opportunities include children’s and youth ministry, service projects, hurricane/natural-disaster aid, soup kitchens/homeless shelters, construction-projects, orphan care, evangelism (sharing God’s love with others), discipleship (mentoring others in their walk with God), etc. Click on the “Serve with BCM!” tab to learn more. Every Spring semester we offer a Missions Trip during Spring break. Typically we stay within the United States for this trip. 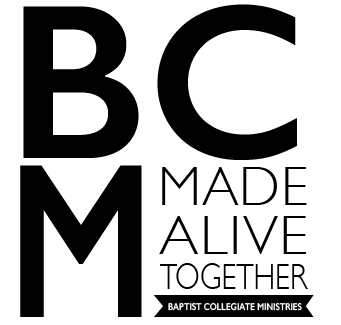 We are committed to finding tangible ways for BCM students to experience being the “hands and feet” of Jesus. (1 Corinthians 12:12) On occasion, we have the opportunity to send students, or facilitate trips, to other countries.l. We are always open to new ideas from students passionate to share their abilities and heart with others. So if you have an idea for a local ministry or a cause we can serve, let us know. Perhaps you have a talent, experience, or ability you want to share with others to the glory of God… we want to resource you! Our goal is to help equip you for the good works God has prepared for you (Ephesians 2:10).